Following a request in a comment to yesterday’s post, here are two more fun images from our house hunt. 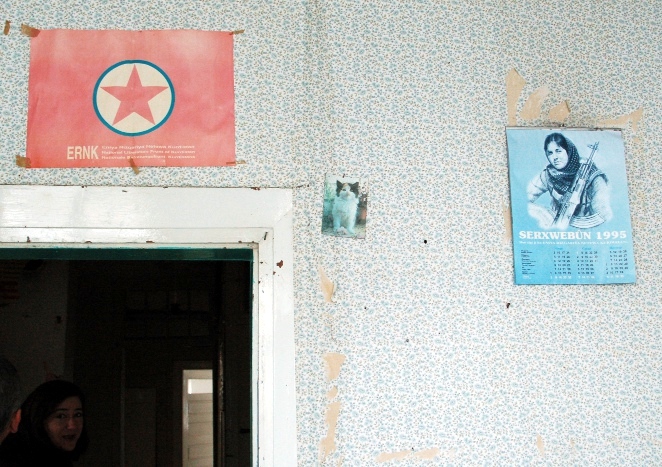 Tattered chintzy wall paper, a Kurdish freedom fighter, and a kitten. Seen on the side of a building in Leipzig. 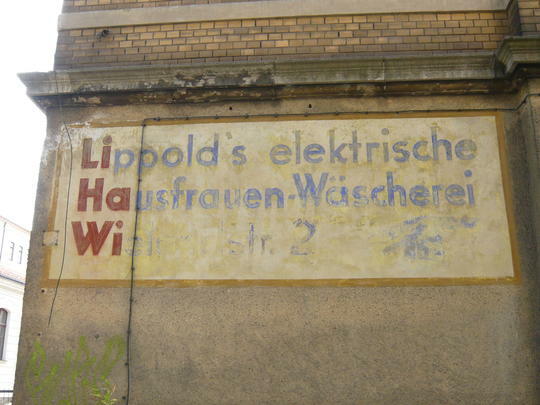 Translates roughly as "Lippolds electrical housewife-cleaners". Who doesn't need that? My next post about our church will be on Monday. I’m aiming for a M-F schedule. © 2011, Converting a Church. All rights reserved.